Harajuku girl in colorful kawaii fashion with Powerpuff Girls oversized shirt, printed pants, platform sneakers with rainbow soles and laces, and a Barbie backpack. Tokyo vintage shop staffers wearing matching Barbie-inspired outfits with Chanel accessories and Mickey Mouse ears. 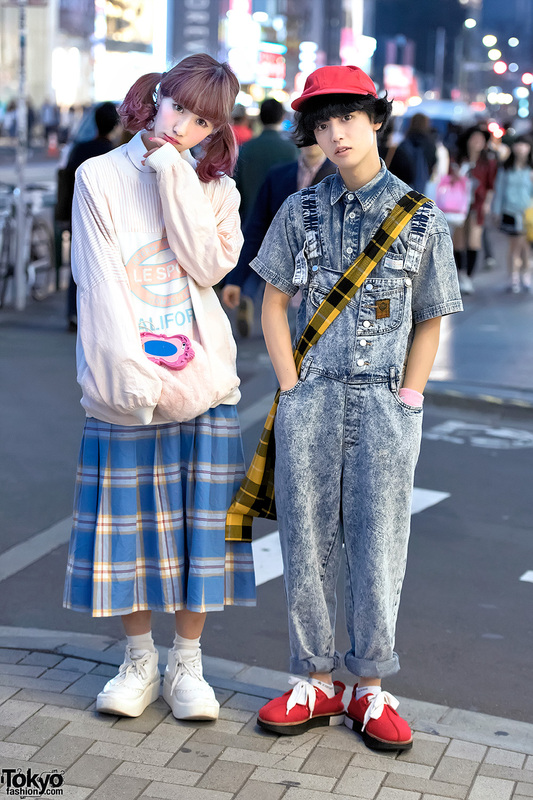 Mico and Yuutarou on the street in Harajuku wearing resale fashion along with items from Comme Des Garcons and Tokyo Bopper. Cute pink and yellow hairstyle and pastel street fashion at the famous Shibuya Scramble in central Tokyo. Two Harajuku girls wearing matching t-shirts, suspenders, hair pins and pompom earrings – with a third girl in crop top and heeled sandals. Kyary Pamyu Pamyu fans in Harajuku with orange twin tails, a sailor uniform, Lego earrings, platform shoes & plush turtle charms. Harajuku friends in kawaii pastels, cat and cross print, wedge sandals, Barbie bag and bow headband. 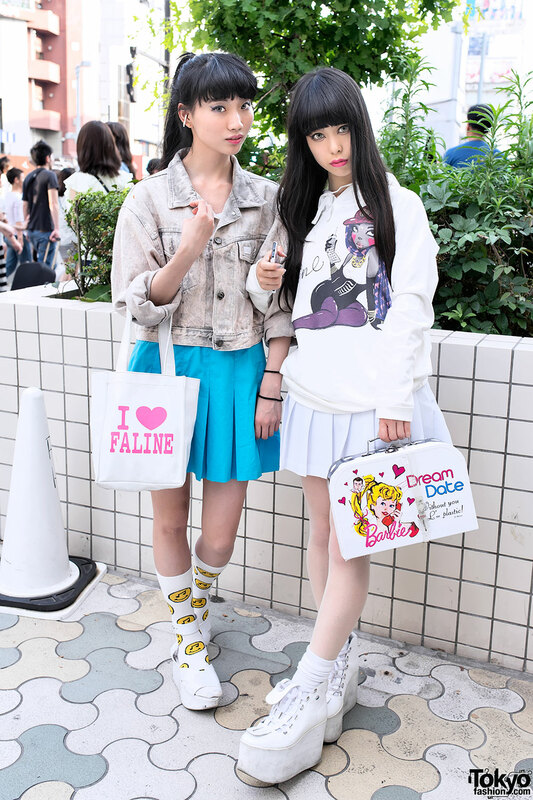 Two stylish Harajuku girls with items from the Fafi x Faline collection, a cute Barbie bag, and Tokyo Bopper platforms. Harajuku guy in horn beret & Keith Haring sneakers with girl in pink outfit featuring decora and fairy kei accessories.